Watching Serena Williams cream a backhand that bounces just out of her opponent’s reach, but still in-bounds, it’s easy to sit on the couch and wonder these things. This week we’ve rounded up performance secrets from 9 of the world’s top athletes. From flotation tanks to green smoothies to chocolate milk, find out what they do to maintain peak performance. Kobe Bryant may have just ended his career in style, but there was one drink that he and his teammates swore by to help them recover after games. Your kids probably drink it more than you do too: chocolate milk. It’s a low-sugar concoction with organic cocoa and whole milk from grass-fed cows, specially made by a Whole Foods based in whichever NBA city the team is in. BONUS: As a follow-up, Holmes also wrote on Kobe Bryant consuming bone broth to help with energy and inflammation. The World No. 1 men’s tennis player had a major issue in his game early on his career: he got fatigued during five-set matches and rarely finished them strong. The turning point came in 2011 when a nutritionist discovered he was gluten intolerant. 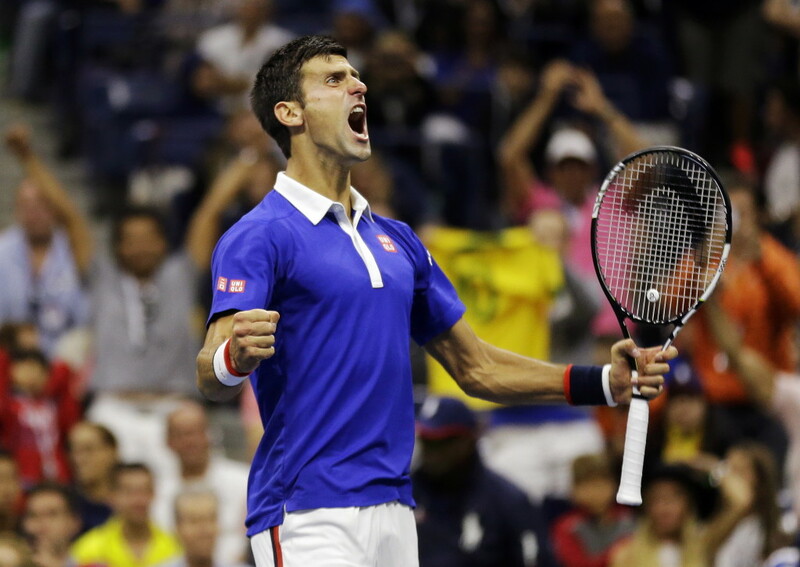 Soon after, Djokovic adopted a strict gluten-free and paleo-friendly diet and saw instant results. He won majors and became the world’s number one player that year — a crown he’s managed to hang on to. Djokovic even has a book out detailing this journey, and including recipes for dishes he eats. The reigning National League Cy Young Winner, Cubs pitcher Jake Arrieta is currently in the midst of an unprecedented rise in the history of Major League pitching. His career began in Baltimore, where statistically he ranked as the worst starting pitcher in franchise history with a 5.46 ERA (min. 60 starts). In 2013 the Cubs acquired him and in that offseason, he took a Pilates class for the first time. Arrieta stretches two hours every day. He does yoga. He meditates. He undergoes mobility training called Functional Range Conditioning, which stresses his joints to ward off injuries from sudden movements, such as reacting to a bunt. JJ Watt may be the most superhuman example on this list, but one we can still draw inspiration from. The NFL’s best defensive player is 6’5″/288lbs, and if you’ve seen him play for the Houston Texans, you know he can move at the speed of someone who weighs 100 pounds less. When he hit a crossroads in need of more fuel and energy, he turned to more healthy fats: namely bacon and avocados. Steph Curry has exploded into an international icon for the record-setting 73-9 Golden State Warriors this season. You can imagine the increased amount of attention this status can create, on top of the added rigors of chasing the record. So how does Curry manage that? He shuts his mind, and all of his senses, off in a sensory deprivation tank for an hour once every couple of weeks. ESPN detailed it with a Q&A and video below. Like yoga and meditation practitioners, that’s something floaters espouse: mindfulness, the state of being present, observant of your thoughts and feelings without judgment. One of the most common curiosities when it comes to an athlete’s diet is what exactly do they eat before a game. In fact, I am still in search of a routine after experiencing mixed results with the NBA’s favorite pregame meal of choice: a peanut butter and jelly sandwich. It looks like I’m about to adopt soccer star Lionel Messi’s routine. His gameday includes proteins, carbs, and three of my favorite fruits. Finally, when it’s six hours before the match, Messi eats porridge or egg whites for the protein and carbs. About 90 minutes before the game starts, Messi eats fruit, including bananas, mangos and apples. This article details the intense ten days of Messi’s diet regimen before a game. That’s right — Ten. Days. During the summer of 2014, LeBron James not only surprised the basketball world with his return to Cleveland, he also startled many when he began to look a lot leaner than his superhuman physique. James, inspired by hall of fame teammate Ray Allen, followed a strict low-carb, ketogenic-style Paleo diet, with no cheat days across 67 good ones. Here’s a breakdown of a menu that consisted entirely of meat, fish, vegetables and low-sugar fruit. Venus and Serena Williams are vegan. Both grew up with a love of smoothies, and it was detailed earlier this year on Ecowatch what else they eat. It may come as a shock that there’s no meat in their diet. If you’ve been poo-poo-ing veganism, it’s time to swallow a big ol’ piece of vegetable pie — it’s working for two of the best athletes in sports history. To fuel herself, Serena makes sure to drink green smoothies with kale and plenty of protein powder, carbs up on brown rice and sprouted quinoa and piles on the green veggies. Their fridge also includes coconut water, wheat grass and sprouts. Out of all these, which are you most likely to try to improve your performance? We’re going with the chocolate milk.